Groupon deals – too good to be true? There is no modern human being who doesn’t love good deals. Every now and then you are tempted to buy something not because you need it but only because it’s discounted, and so it’s a good deal. And thanks to this natural instinct to buy, marketing was selling even before there was the Internet. And now there is Groupon. A daily scoop of massive discounts on a wide variety of leisure activities locally. So good so far. All you need to do is sign up and start buying those coupons impulsively and feel satisfied that you hit yet another great bargain until you realize that maybe the deal is not what it seems to be. 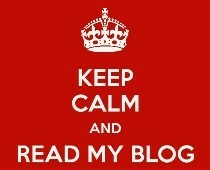 Even more, don’t be surprised if the ‘deal’ brings you much more headache than enjoyment. Groupon should actually have seen that problem coming. Do you really expect to sell 2000 vouchers for 10 cosmetic procedures that last 1 hour each and can be used within 6 months. I don’t need to calculate this but it seems rather unrealistic. Or 1500 weekend for couples in a family hotel that can host only 20 people at once. I personally experienced both of them and is not working. In fact the hotel was desperately seeking to save its reputation from the complaint flaw and was accusing Groupon all the time for not stopping the coupon sell on time. But do customers really care whose fault it is? I don’t, I want my money back even thought this also seems to be overwhelming task for the customer support of Groupon Italia. What is even more annoying in this case is that the Colomba d’Oro Hotel in Triora tried to get out of the mess with a new offer to the groupon holders who couldn’t use their coupons. We were offered to add extra 100 euros and attend the opening weekend of the hotel with a special program… this is the double the price of the coupon. What were you thinking? Now if you go on the website of the hotel first thing you see is a pop up message redirecting angry customers to Groupon office in Milan. Yes but you can’t get away that easy from it, my dear Colomba d’oro hotel. 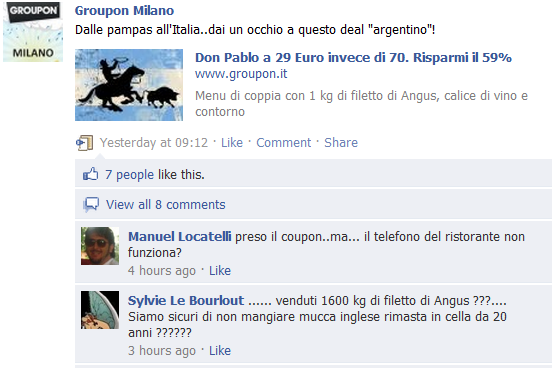 Your name will be dirty for a long period like the one of groupon Milan. And you can see that on their facebook pages if you happen to see a salty complaint before page admins delete it. Yet another rude mistake, this people only need reimbursement and to hear sorry. We are your customers after all, ignoring will only make it harder for you to recover your name. A simple google search shows many different groupon complains in different parts of the world regarding the same problems. After all customers should bear in mind also that merchandisers take only 50 % of the price of the deal and in most of the cases they threat the ‘groupon’ customers at a lower standard, which is not what the idea is about. Groupon claims to be a marketing tool to promote your business. Doesn’t make sense to offer a different service to your customers in this case. 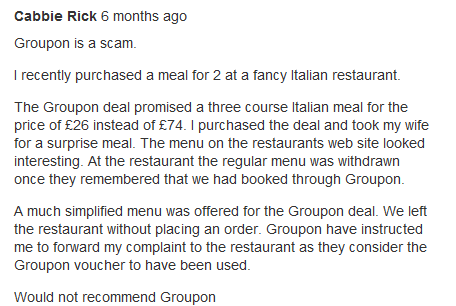 But it happens often as you can see the comment below taken from another blog post criticizing Groupon.